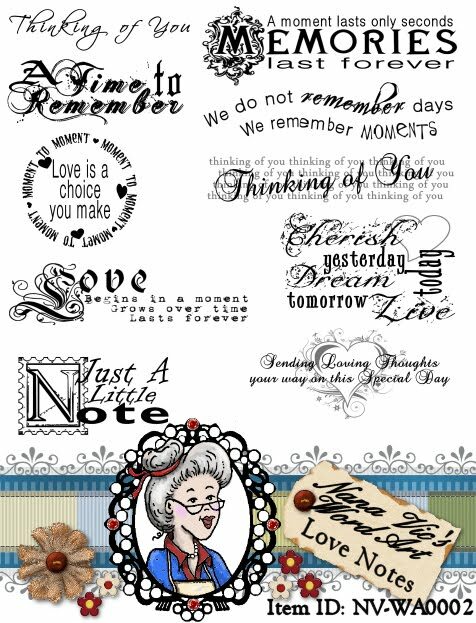 Description: Included with this digital download is a sheet of 10 word art sentiments all 'Love Note' related. Wherever you may need to put a special sentiment, perfect for scrapbooking, card making or tags. Words come in 300dpi for easy resizing. NV_DS0016 Digital ~ Nana Vic Letter Writing.